Our Mission: To create tasteful products that inspire, reflect personality and bring focus to life's greatest moments. 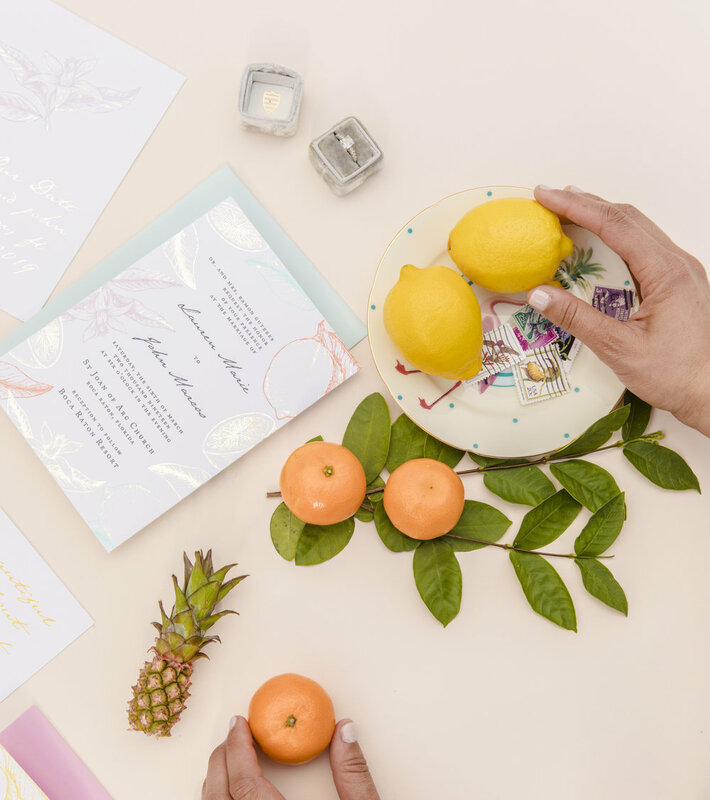 Gabriel and Erica Diaz, husband and wife co-founders, started Inspired By Above Paper Goods in 2013 with the creation of their own wedding invitation. 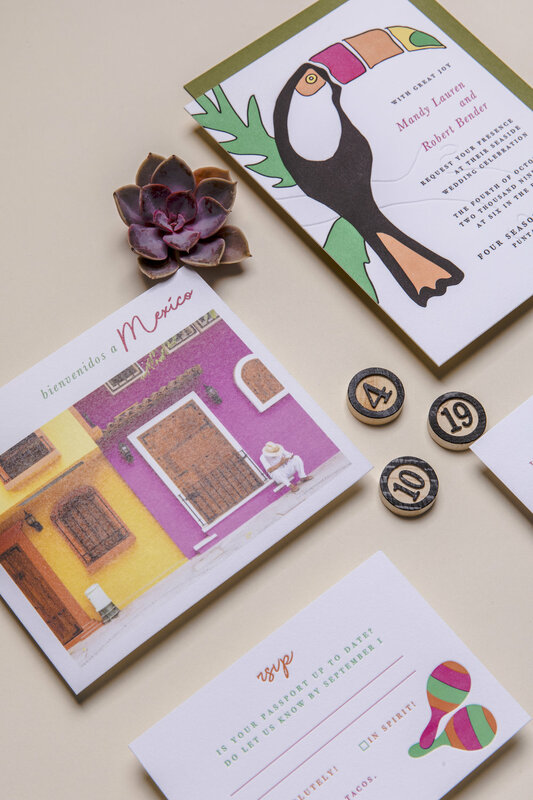 Since then, IBA Paper Goods has blossomed into a thriving fine stationery, design and specialty printing company that serves not only those in their community but clients around the world. 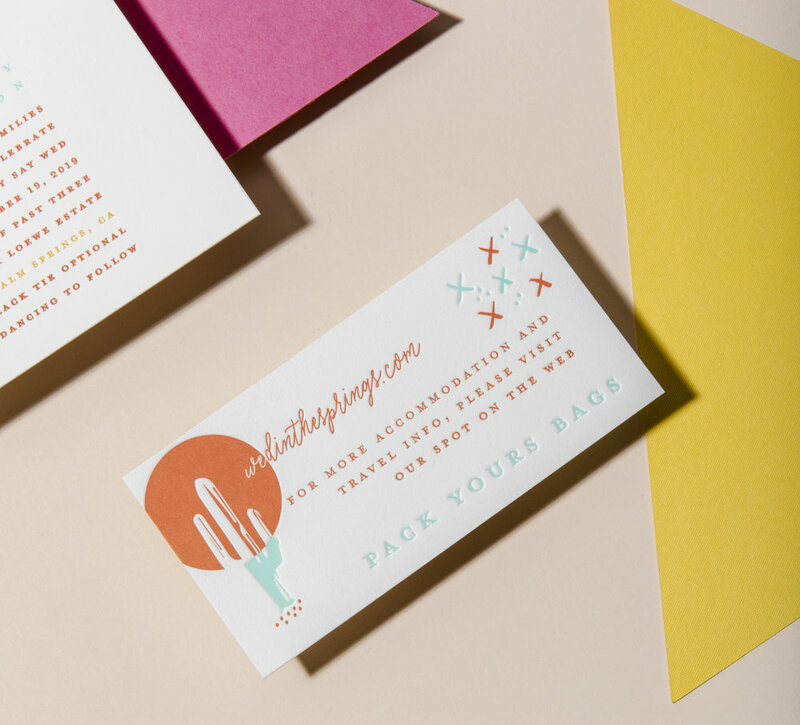 IBA Paper Goods is located in the heart of the Miami suburbs. We are a by appointment only studio but love hosting clients, planners, brides and dreamers into our space. All of our work is customized to fit our client's personalities and needs. We are a small batch printer and design co that produces our products in-house using only the finest responsibly sourced paper, inks and supplies. What we offer: Fine wedding stationery with letterpress and foil using our 1961 Heidleberg Windmill, luxe digital printing on thick stocks up to 500gsm, graphic design, wedding website or custom website builds, fine business cards or branded stationery, signage, menus, place cards, calligraphy services and more! Connect - Share ideas, inspiration, personal budget and timeline via email, over the phone or in person. We suggest our clients book us 6-8 months in advance to save your spot in our calendar. We take on a limited amount of projects per month to ensure we will have enough time to dedicate to each and every client. Quote- A custom quote will be sent outlining your requests, custom packages and personalized price options. We gladly accept cash, check or credit card through our secure accounting system. A 3.5% transaction fee is required for credit card payments. Design - You will be sent digital proofs via email. Revisions are to be adjusted at this time. Final balance must be paid in full before items are sent to print. Production- Once the final design is approved, your order is sent to print and be assembled. All assembly is done by hand, in-house with close attention to detail. Please allow 2-3 weeks for final product once you have approved your designs. Delivery - Once the order is complete, you will be notified for pick up or sent delivery confirmation. Please allow 6-8 weeks for custom design projects. If you are on a tight deadline, we may be able to it you in so it never hurts to inquire. Erica is a true JOY to work with! She is professional, responsive, accommodating, warm, creative, and all-around wonderful. A friend of mine recommended her to me and, even still, she exceeded my expectations. I worked with her to create my wedding suite and whole-heartedly endorse her to anyone. If you want boutique-style attention and guidance [with experience] during your wedding planning process – look no further! Thank you Erica & Gabriel, you two make a stellar team. Working with Erica was a dream! Having previously been in the wedding industry and having had the pleasure of working with so many wonderful vendors through out the years, I knew that when it came to my wedding day, I knew exactly the team I wanted to bring together. One of those crucial members was IBA Paper Goods. Words cannot describe the beautiful work Erica created with our wedding invitation suite. She incorporated and designed an ethereal version of my fiancé's family crest to go along with our old world vision. 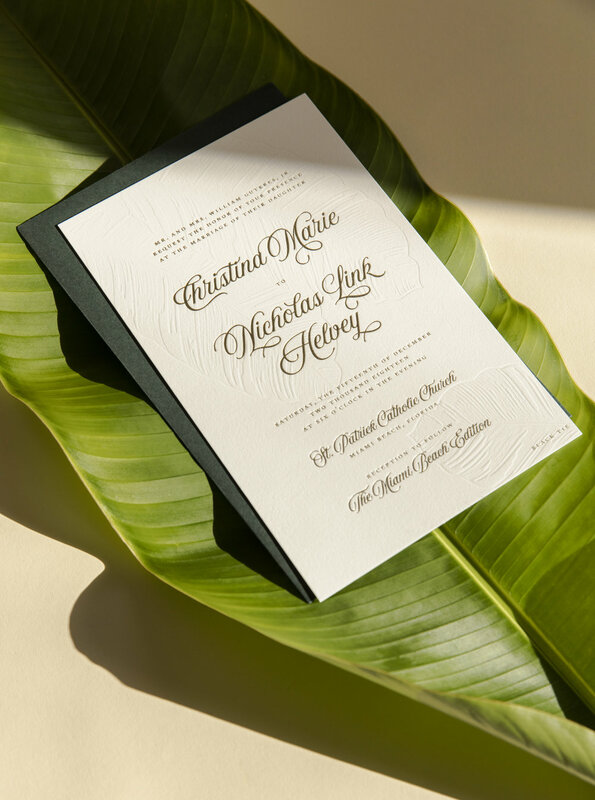 Our handmade paper invitations with deckled edges and bronze toned calligraphy, is the first view into our wedding our guests have and Erica has made the beginning of our wedding experience come to life. We continue to receive such amazing comments from family and friends on our invitations. Erica, Thank you not only for your talent but for the great and timely service provided. You're timeline kept us in check and had us on track. Couldn't have had our vision come true without you! I can't even explain how AMAZING of an experience I had with IBA Paper Goods! Erica and Gabriel went above and beyond our expectations. 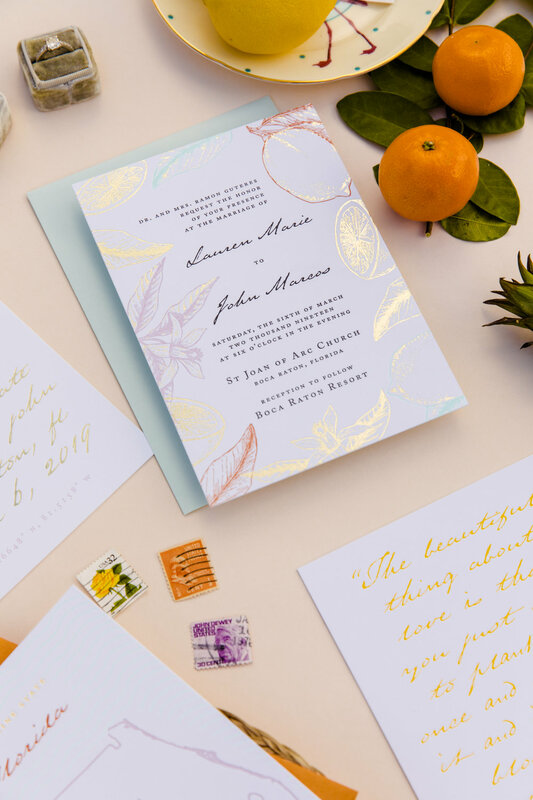 I came to Erica with an idea of what I wanted my dream Invitation suite to look like and she brought it to LIFE...even better than I had imagined! From the moment I first met Erica for our consultation, I knew I was in good hands. To all brides considering IBA Paper Goods, you don't even have to think TWICE about choosing them! You will forever be grateful. They. Are. Perfection. Working with Erica and IBA was one of the easiest aspects of the wedding planning process. IBA came highly recommended through my wedding florist when we just couldn't find exactly what we wanted in terms of invitations through online shops. As soon as we met Erica, hiring IBA was a no-brainer. Erica is so incredibly kind, extremely talented and beautiful inside and out! 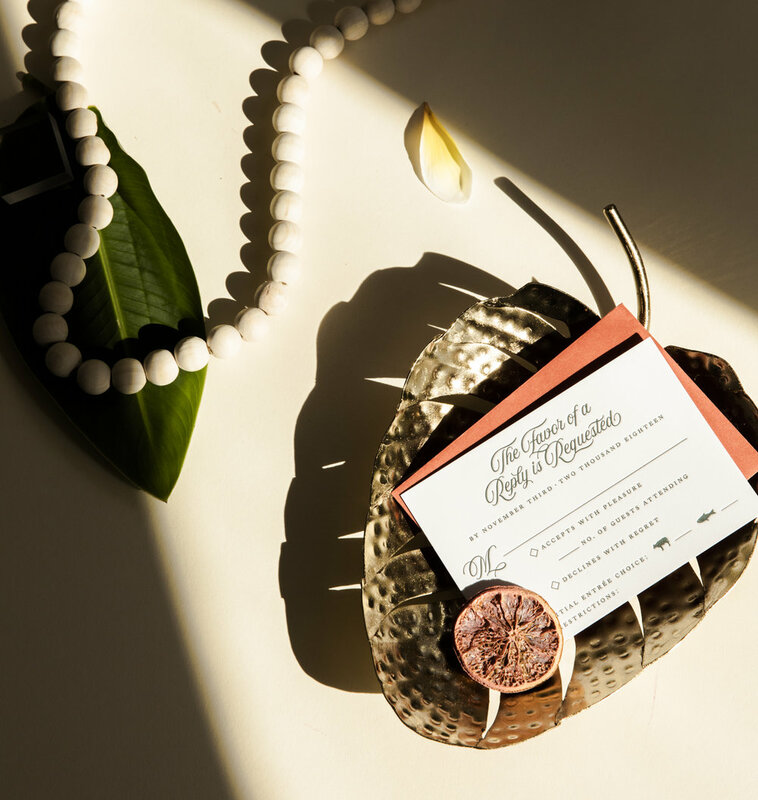 She was incredibly responsive and worked through our vision every step of the way to bring our invitations to life. It's such an inspiration watching IBA's business grow and I wish absolutely nothing but the best for the IBA team. Erica is the type of person you want to work with in the wedding planning process. Everything was effortless and we immediately trusted Erica with our dreams. We're so glad that we had the honor to be a part of the IBA Paper Goods story. Thank you so much for everything you did for us, Erica and Gabriel! We wish you years of endless success!! To all brides - you CANNOT go wrong with IBA. They're the dream team! !